Pays when an insured person is legally liable for bodily injury or death caused by your vehicle or your operation of most non-owned vehicles. This coverage also pays for your legal defense if you are sued. Common Exclusions: No coverage for (1) bodily injury/death when you are using your vehicle to carry persons or property (including magazines, newspapers, food) for compensation or a fee; (2) liability assumed under a contract; (3) bodily injury/death to an employee; (4) bodily injury/death caused by an intentional act; (5) property owned by, rented to, or in the charge of an insured person; (6) bodily injury/death to you or relative; (7) bodily injury/death or property damage resulting from a relative's use of a vehicle, other than a covered vehicle, owned by a person who resides with you; or (8) bodily injury or property damage resulting from your operation or use of a vehicle owned by you, other than a covered vehicle. 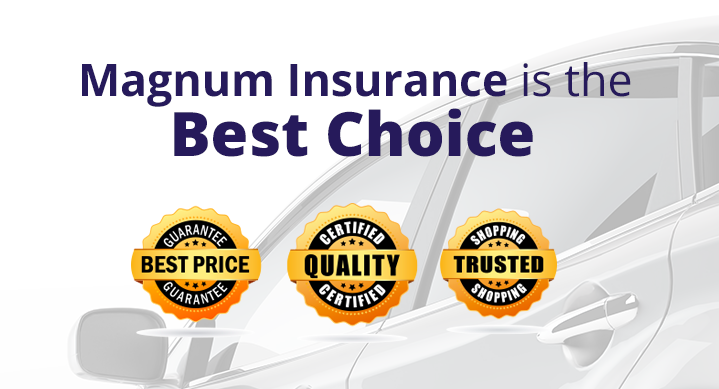 Pays for loss or damage to your covered vehicle caused by any event other than collision. This includes damages due to events such as fire, theft, windstorm, flood and vandalism. We will also pay transportation and loss of use expenses under this coverage if your motor vehicle is stolen. Pays for loss to your covered vehicle when it collides with another object or overturns. We will also pay for a collision loss to any non-owned vehicle, or to a vehicle you have rented other than a vehicle rented for use in connection with your business or employment, while that vehicle is in your custody, or while you are operating it. Common Exclusions: No coverage for damages or loss (1) to a vehicle while being used to carry persons or property for compensation or a fee; (2) resulting from intention acts, racing, or preparing for a race or stunting activity; (3) customs parts or equipment, including electronic equipment, in excess of the value declared in the application; or (4) to tapes, compact discs, other media or their carrying cases. A voluntary refresher course available for drivers age fifty-five (55) and older to enhance their driving skills. Participants are eligible for a discount if they can provide a certificate to Progressive as proof of completion. The course must have been completed within three (3) years of the date the policy is to begin. The most we will pay for a specific insurance coverage. You may choose the limit which meets your needs. Most states have laws that specify the minimum limits you must purchase. We ask for your prior address only if you moved within the last 60 days. Your prior address provides an additional piece of information to match the consumer report correctly with the customer. If we don't collect this information, our chance of error increases and we might not calculate your rate correctly. Pays when an insured person is legally liable for damage to the property of others caused by your vehicle and your operation of most non-owned vehicles. This coverage also pays for your legal defense costs if you are sued. Common Exclusions: same as Bodily Injury Liability Coverage exclusions, but the exclusions apply to damage to property. The named insured or listed agent on a policy may request to designate any other person listed on the policy as a "second named insured". The second named insured has the same coverage under the policy as the named insured. We need several pieces of information to match the report to the customer appropriately. If we don't collect this information, our chance of error increases and we might not calculate your rate correctly. Protects you, your resident relatives and occupants of a covered vehicle if any of these insured sustain bodily injury, including any resulting death, in an accident in which the owner or operator of a motor vehicle who is legally liable does not have insurance. Common Exclusions: No coverage for bodily injury/death sustained by any person while using or occupying a (1) covered vehicle while being used to carry persons or property for compensation or a fee; (2) a covered vehicle without the permission of you or a relative; or (3) a non-owned vehicle without the permission of the owner. The vehicle identification number (VIN) on your vehicle. This number is usually found on the dashboard of your vehicle on the driver's side, and is usually listed on the vehicle registration and title. The VIN number is a combination of letters and numbers 17 characters in length that can be used to identify the make, model and year of your car.